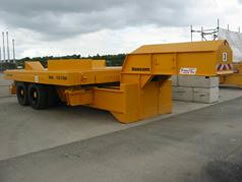 The trailer includes load cells, weighing system computer, WIFI and battery power supply. This manual includes a schematic overview together with service and calibration procedures for the weighing system. An in-depth examination of Trailer Calibration. With explanation of how load cells work and exploration of the issues that will affect calibration. 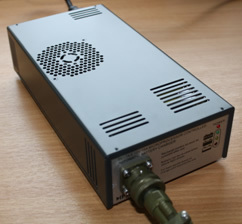 The ScrapMan battery charger is a switch-mode unit providing 3 stage charging at up to 10A @ 12V DC from an AC supply ranging from 100 – 240V. Features include LED Status indicators, Reverse and Short Circuit protection. 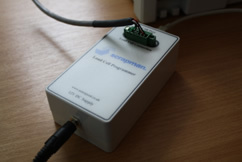 The Scrapman USB – RS485 Load Cell Programmer features an interface to convert from USB format to RS485 and is used to configure settings within the load cell and its associated "D-Cell" microcomputer so that it's compatible with the trailer computer system. 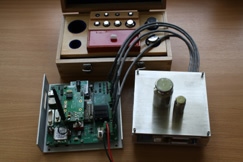 The Scrapman PlayStation is a portable model of a trailer weighing system but at 1/100,000th Scale for weight measurement is intended as a tool to help develop and test software for external monitoring systems. Its portability and small size make it ideal to use in the office or laboratory for developing software. ScrapMan Lite is a software suite designed to run on a PC in a crane cab, it can communicate with the trailer and to read load, display the weight on the trailer platform and allow multiple TARE functions. Copyright © ScrapMan All rights reserved.